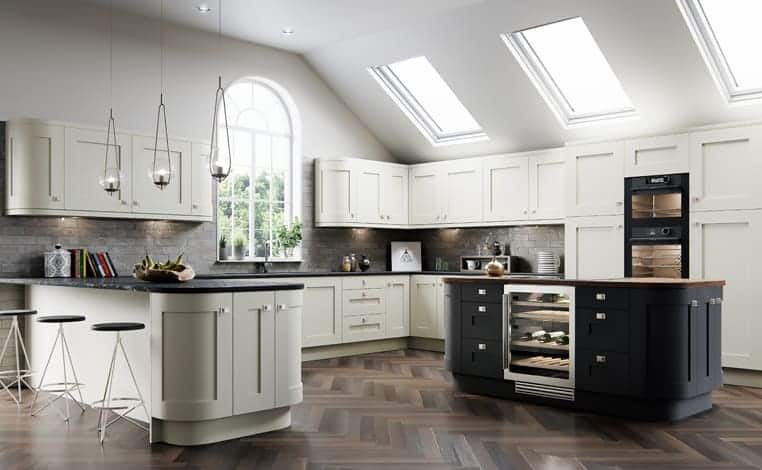 This porcelain & graphite grain fitted kitchen is perfect for a modern, family home. With a stylish central island surrounded by easy to use contemporary technology, this fitted kitchen is a popular choice for both busy lifestyles eating on the go and those who enjoy cooking! The block colouring of the accessories enables you to create a kitchen full of style and personality, whilst subtly drawing on the latest trends. A fitted kitchen is ideal for both large and small spaces alike; you can make the most of tiny alcoves, as well as any large wall areas. 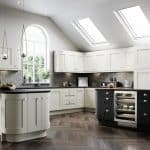 With over 40 years of experience within the fitted kitchen industry, you can rest assured that we will have only the best quality on offer! Our customer service is efficient, honest and second to none. We want you to have an enjoyable experience creating your perfect space. All of our products are items we would use ourselves. After all, if we wouldn’t want it in our home, then why should you?